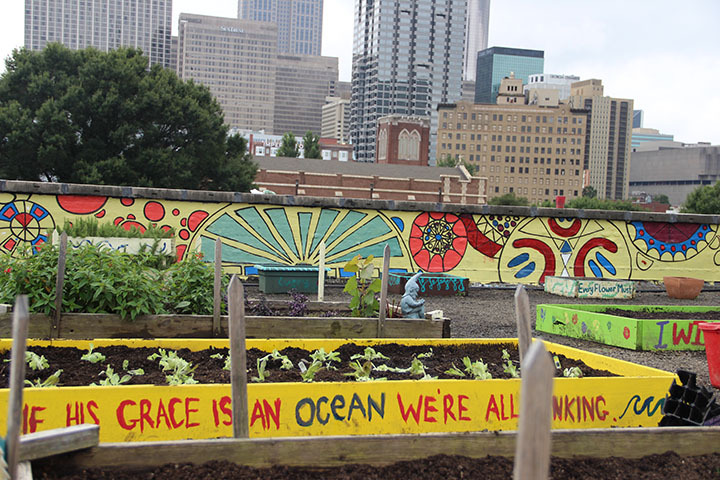 Peachtree + Pine People https://taskforceforhomeless.wordpress.com located on the corner of Peachtree and Pine Street was the largest shelter space in the southeastern United States. This shelter provided services to an average of 1,000 men, women, and children on a daily basis. No one who needed shelter was turned away. For the past 26 years, we have served several hundred thousand individuals With shelter, housing outreach, transportation, employment and health care . Thank you for your great service in giving a voice and visibility to the millions of families with children and young people affected with the crisis of homelessness. Since 2005, HEAR US has created an abundance of tools and resources to raise awareness of and sensitivity to our homeless children and youth. To learn more about HEAR US, please visit them at hearus.us. How far do salaries stretch? Minimum wage needs to be seriously rethought. New data emerging from MIT Professor Amy Glasmeier’s Living Wage Calculator suggests in many place throughout the U.S. it would take two-and-a-half to three minimum wage jobs or 77 hours per week per typical family just to make ends meet. Child care, for the more than 50 percent of working women, is also highlighted as a critical factor facing working families. Cities in Washington state overwhelmingly deal with their homeless populations by criminalizing aspects of their daily lives, but it comes at a cost, while housing the homeless would bring significant savings, according to a new report from the Seattle University School of Law. The researchers looked at municipal codes in 72 cities across the state. Since 2000, the number of ordinances aimed at the homeless rose by 50 percent, with cities finding 288 new ways to target them. “This fourteen year span has already eclipsed the previous forty-five years’ total enactment numbers, and the numbers are continuing to rise,” the report notes. The number of ordinances rose from just 31 in the 1970s to more than 100 in the last four years. Join actor Michael K. Williams, ACLU’s ambassador for ending mass incarceration, and support our campaign. For the last four decades, this country has relentlessly expanded our criminal justice system, needlessly throwing away too many lives and trillions of taxpayer dollars. Our nation’s addiction to incarceration is unsustainable, ineffective, and inhumane. We need better solutions to the problems our nation faces — mass incarceration is not the answer. We don’t have to put up with an unproductive, wasteful criminal justice system that is dominated by racial disparities. It’s time to end the failed war on drugs, abolish mandatory minimum laws, and reduce extreme sentencing for petty crimes. Let’s not build any more expensive prisons — instead, let’s invest in strategies that actually make communities safer. We’re at a critical moment in this country, and together, we have the chance to do better — will you pledge to be a part of the solution? For more information on ACLU’s Campaign to End Mass Incarceration, click here. 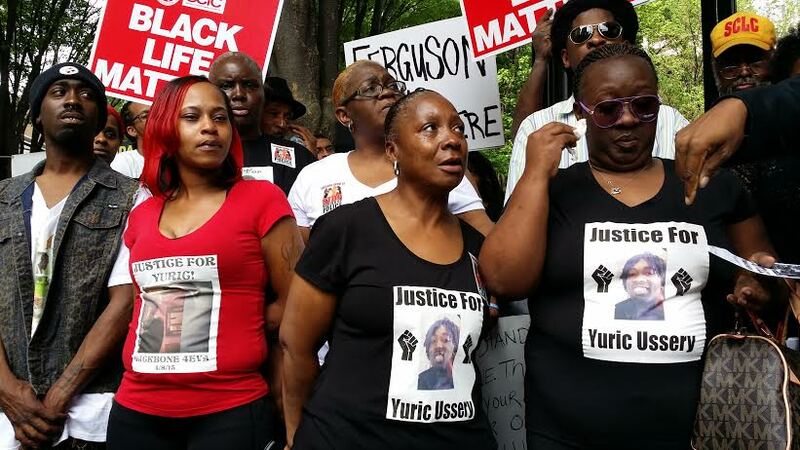 (APN) ATLANTA — On Tuesday, April 14, 2015, many Atlantans participated in a national day of resistance to police killings. On Wednesday, April 22, 2015, federal contract workers in Washington, D.C., went on strike demanding union rights and a minimum wage of $15 an hour. One of those workers was 63-year-old Charles Gladden who works in the Senate cafeteria. He has been homeless for the past five years. In an interview with The Washington Post on Wednesday, Gladden said his weekly take-home pay is $360; and he gives most of that to his three daughters and grandchildren. Though Gladden makes more than $10.10 – the required minimum wage for federal contract workers – he says that is not enough for him and his fellow workers on Capitol Hill. Gladden also suffers financially because of complications from chronic diabetes, which often leads to lengthy hospital stays, some lasting weeks at a time. He says he also struggles to find a safe place to store his insulin when living on the streets….